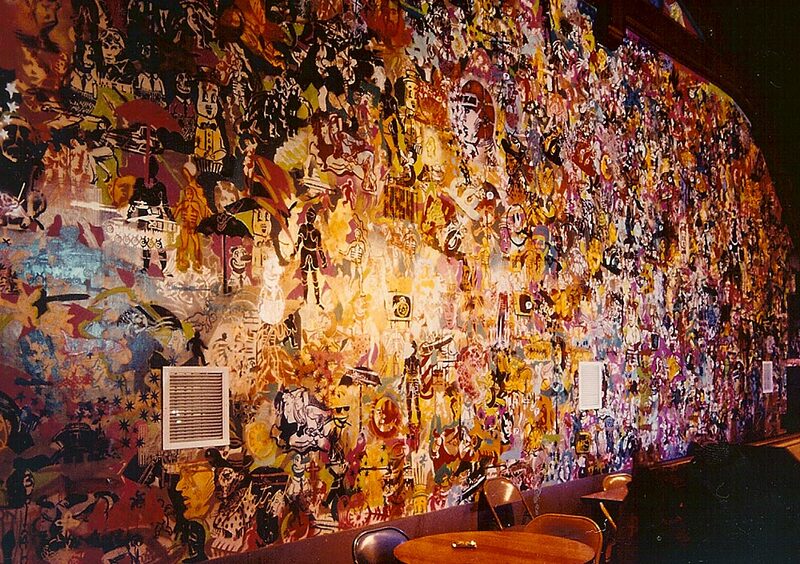 In the spring of 1987, a group of friends and i created a mural for the RISD Tap Room. This was entirely created with spraypaint and stencil. I don’t remember everyone who worked on this, but I do remember that Alexandra Rohleder, Nicole Eisenman, Josh Pearson and Ben Carlson were involved. This was a beautiful piece, and it remained up for 17 years. I believe that the school left a piece of it remaining when they refinished the tap room 2 years ago. Good for the soul, bad for the lungs.